NEGAUNEE — For the majority of its season opener, the Negaunee football team seemed was in control. The Miners’ rushing attack was productive and the defense kept Iron Mountain in check throughout the first half. 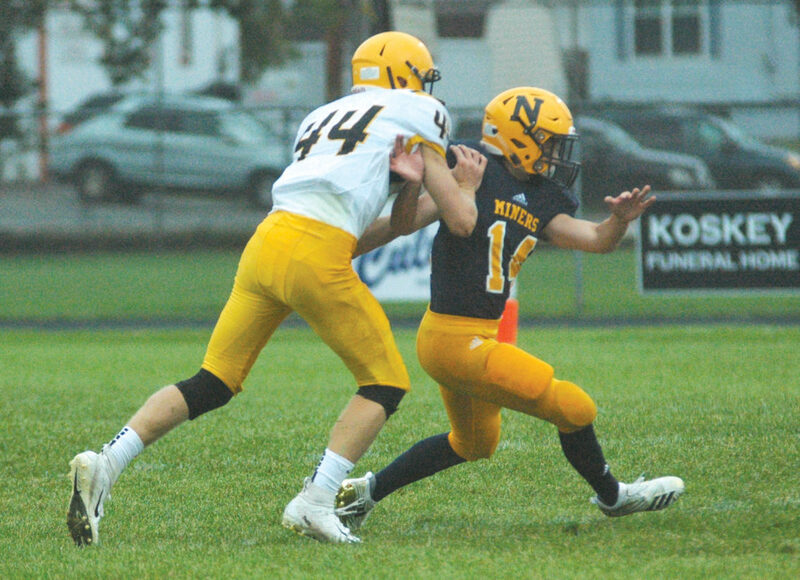 But Negaunee couldn’t stop the big plays and that’s what burnt them as the Mountaineers overcame a nine-point deficit at halftime for a 12-9 comeback win on a rainy Friday night. It was the first West PAC meeting between the two schools since simultaneously joining the conference last November. 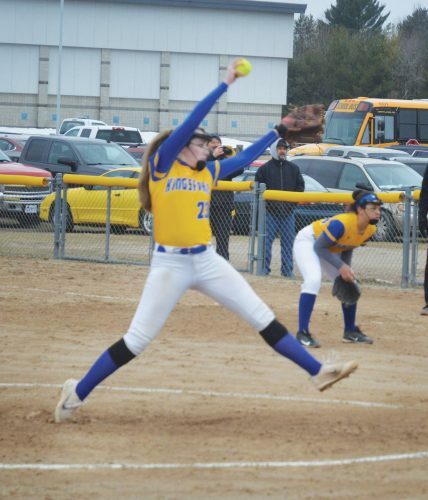 “They’ve got two good kids in Charlie (Gerhard) and Marcus (Johnson) and Marcus was able to extend plays tonight,” Negaunee head coach Paul Jacobson said. “He made some good plays and got the ball to Charlie and that’s what it came down to. For Mountaineers head coach Robin Marttila, the comeback win came from resilience and teamwork. Negaunee got on the scoreboard first on its opening drive as it took advantage of a poor IM punt. Two first-down runs from Peyton Anderson helped bring the Miners deep into Mountaineers territory and quarterback Jason Waterman capped off the drive with a 5-yard touchdown run. Negaunee led 6-0 with 4:47 remaining in the first quarter. Early in the second, it looked like IM was on the verge of getting on the board as Johnson marched the Mountaineers downfield thanks to a nice tackle-breaking run and two first-down passes to Gerhard and Bryce Pietrantonio. However with first-and-goal on the Negaunee 8, Johnson was sacked for a 13-yard loss on second down and the Negaunee defense forced two incompletions to maintain a lead. The Miners took advantage of that defensive stand and used its rushing game to pound their way upfield. With one second left in the half, Negaunee kicker Erik Salminen made a 19-yard field goal to give the Miners a 9-0 advantage at halftime. In the second half, Johnson started to find more openings. After getting picked off by Negaunee’s Drew DuShane on the Mountaineers’ first possession of the second half, Johnson stayed calm in the pocket and heaved a long pass downfield to Gerhard as he was slammed to the ground. Gerhard ran untouched into the end zone for a 55-yard score, trimming Negaunee’s lead to 9-6. After the IM defense stuffed the Miners on fourth down, Johnson went to work again. He hit Colin Visintainer for a 24-yard pass to move the ball near midfield. Caleb Evosevich-Hynes then busted loose on a 26-yard run to move the ball into Negaunee territory. Two plays later, Johnson took off down the far sideline for a 32-yard touchdown to give the Mountaineers their first and only lead. With the missed extra point, IM led 12-9. The Miners weren’t done yet, though. 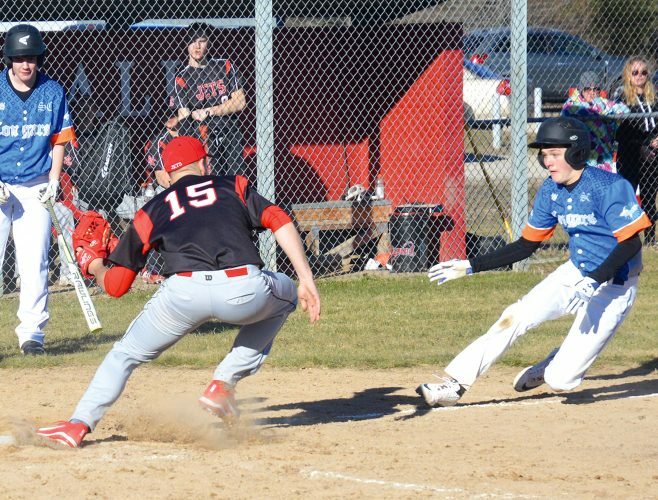 Negaunee gradually moved the ball into the IM zone and on third down, DuShane appeared to find an opening, but Johnson came up big as he closed the gap quickly and brought down the Negaunee runner. After stopping the Miners on fourth down, Johnson went back to work as he found Visintainer with a 31-yard pass. With the ball on the Negaunee 19, the Miners had a chance on fourth down to get the ball back and maybe put together one final drive. However, Johnson hit an open Tony Fiera with a 14-yard first-down pass and IM ran out the clock. Iron Mountain plays at Westwood next week while Negaunee is at Calumet.